Gold Jewellery Testing Machines For Retail Stores - Fischer Measurement Technologies India Pvt. Ltd. The objects made from precious metals and gold always hold a special appeal, whether they are meant for serving only aesthetic purpose or used for performing some technical functions. The verification of their genuineness thus requires a precise and non-destructive method. We are offering right measurement technology for the quick valuation and precision material analysis. It is light in weight and requires less space for installation. The door of measurement chamber does not open upwards, but towards the front which allow placing notebook for operation onto the instrument thus saves even more space. The X-ray source and detector assembly is located in the instrument's lower chamber for quick and easy sample positioning. It is also fitted with the integrated video-microscope with zoom and cross-hairs that simplifies sample placement and also allows a precise measuring spot adjustment. The system runs on powerful and user-friendly WinFTM® software which ensure smooth operations and evaluation of measurements as well as the clear presentation of measurement data. It is an established practice to buy or sell the gold and the dealers don't have much time to determine the value of offered item for sale, thus they frequently use touchstone method, which is practically unreliable. The more accurate method is fire assay method but it is destructive and also time-consuming. The X-ray fluorescence method is the non-destructive and reliable method used for material analysis and measuring coating thickness of watches, jewelry and other precious metallic items. The X-RAY XAN 315is ideally suited for use in the buying and selling of gold and precious metals. Instruments with silicone drift detectors that are capable of working under challenging conditions are installed in coin assay offices and refineries to detect the purity of gold and platinum. These instruments are used for finding more accurate readings for precious metals like platinum and gold and alloys like copper, palladium and silver. These are also used for finding the accuracy of various prohibited substances like cadmium and nickel. The karat meter instruments are used for the determination of thickness of very thin coating of rhodium on white gold. X-RAY XAN 315 is use in the buying and selling of gold and precious metals. X-RAY XAN 220 is the analysis instrument for the determination of precious-metal alloys. X-RAY XAN 250 is for high-precision analysis of precious metals as required for hallmarking. 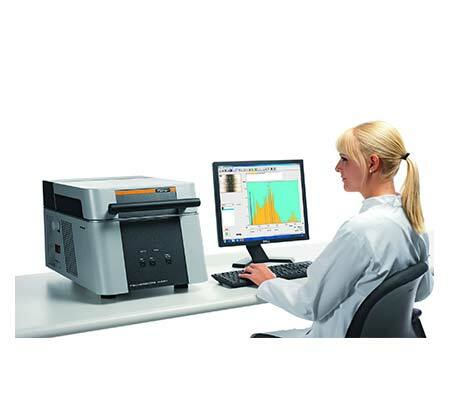 X-RAY XAN 220 is the analysis instrument of choice for reliable determination of precious-metal alloys. The instruments which are used in hallmarking institutes and assay offices are capable of meeting strict analysis standards. These instruments are capable of determining not only the precious metals but also the prohibited substances. The x-ray fluorescence method used in these instruments serves as alternative for fire-assay method (cupellation) for the determination of composition without damaging the product. The process repeatability precision is 0.3% depending upon the number of cupellation tests. The instrument is flexibly configured and allows the measurement of light elements and delicate structures. X-RAY XAN 250 was specifically developed for precise analysis of precious metals as required for hallmarking and assay offices. The watches which are Gold watches are often made of stainless steel and coated with a layer of 18 carat gold at least 20 μm thick. Besides being decorative, the gold coating should also be quite durable, since the external parts of a watch, such as housing, wristband and fastenings, are subject to significant wear.Thick 18 carat gold coatings on watch components can easily be measured non destructively with the FISCHERSCOPE MMS PC2 BETASCOPE.Alloy analysis on luxury watches Components of fine watches in the top price classes are not plated but machined from solid precious metals, such as 750 ‰ gold, 950 ‰ platinum or palladium alloys. Of course, the composition of these alloys must be strictly monitored. Alloy analysis on exquisite watches with FISCHERSCOPE X-RAY XAN 250 and XDV-SDD. High end measurement system XAN 500 was developed specifically for high precision analysis of Gold, Silver and other precious metals as required in the field of Gold Mining Industry, Hallmarking and assaying Office. For such applications the new FISCHERSCOPE® X-RAY XAN® 500, which employs X-ray fluorescence technology, is an excellent choice. In its latest X-ray fluorescence gauge, FISCHER unites decades-long experience in precise coating thickness measurement with the current demands of process and quality control. The XAN® 500 enables the safe and accurate measurement of small parts inside a desktop device as well as the external measuring of bulky parts with a mobile handset. In addition, the housing of the table-top system serves as a carrying case, allowing for quick transport to other locations. 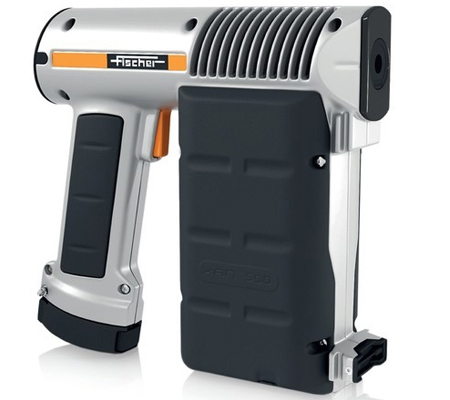 The FISCHERSCOPE X-RAY XAN 500 is a mobile and universally applicable energy dispersive x-ray fluorescence measuring instrument. It is well suited for the non-destructive coating thickness measurement and material analysis. The instrument is perfectly suitable for measurements in quality assurance, incoming inspection and process control.